The second edition of TEFAF New York Fall opened to the public on Saturday, October 28, 2017, following a packed preview day on Friday, October 27, at the historic Park Avenue Armory to vigorous sales across a wide range of categories and significant dealers. Leading members of the international art collecting community and institutional representatives worldwide visited the Fair in its first two days, acquiring works for both private and public collections. This year’s Fair, which ran through Wednesday, November 1, features 95 of the world’s preeminent art and antiques dealers and presents museum-quality fine and decorative art from antiquity to 1920 under the roof of the Armory’s Drill Hall. In addition to the returning dealers, the Fair welcomed 12 new participants representing a range of periods and genres. Sales were reported throughout the Fair, from the opening minutes until the Fair closed at 9pm. A tapestry depicting the Ball Game from the story of Gombaut and Macée (Flemish, Bruges, ca. 1600-35), sold by Mullany (UK, stand 92), London specialists in haute époque fine art, to the Musea Brugge, for an undisclosed sum. 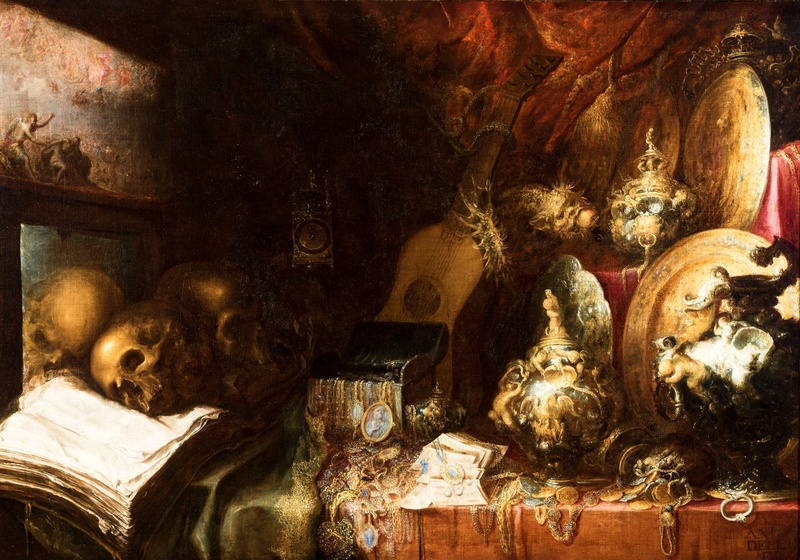 Vanitas, a magnificent example of Baroque painting by Spanish master Andrés de Leito (documented, Segovia and Madrid, between 1656 and 1663) from Colnaghi (UK; Spain, stand 7), attracted the attention of a museum within the Fair’s first hour, with an asking price of seven figures. George Minne’s (1866-1941) Head of a Man (Flemish, Ghent, ca. 1910-13), sold by Agnews (UK, stand 25). Svend Hammershøi’s (1873-1948) View of Nørregade, Copenhagen (Danish, 1926), sold by Jack Kilgore & Co., Inc. (USA, stand 77). Edwin Lord Weeks’s (1849-1903) Across the Pool to the Golden Temple of Amritsar (American, ca. 1882-3), sold byTaylor | Graham (USA, stand 85). A Burlwood ‘Grandfather-Grandson’ Sculpture, from China’s Ming-Qing Dynasty (ruled 1644-1912), sold by Maria Kiang Chinese Art (Hong Kong, stand 44), a new exhibitor to TEFAF New York Fall. In addition to the works for sale, an exhibition of never-before-seen large-scale photographs by contemporary artist Vera Lutter (b.1960), on loan from the Los Angeles County Museum of Art (LACMA) and entitled Painting on Paper: Vera Lutter’s Old Master Photographs, was on view throughout the run of the Fair. Selected extracts from the TEFAF NY Press release from Oct.29,2017. For further informations, please go to the TEFAF website. Image : “Vanitas” by Andrés de Leito, sold by Colnaghi at TEFAF New York 2017.